East MoCo: MoCo planners pan Westmore Ave. bus parking plan; Carver on life support - now what? MoCo planners pan Westmore Ave. bus parking plan; Carver on life support - now what? 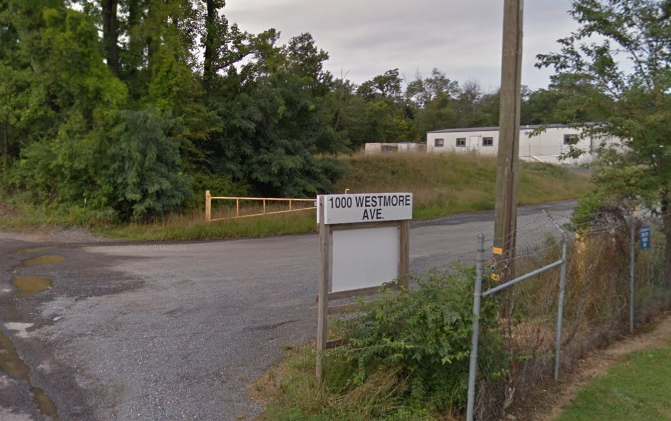 A second Rockville site targeted by Montgomery County as a potential school bus depot, 1000 Westmore Avenue, failed to gain approval from staff at the County Planning Department yesterday. The staff report recommends the County Planning Board disapprove the County's request to acquire the site, a proposal to be taken up by the Board at its June 16 meeting. In the report, staff indicates that they conclude the proposed acquisition of the site by the County for parking school buses there is inconsistent with the County's master plan and the existing zoning of the property. They say the County has failed to provide sufficient information regarding all of the potential impacts on the surrounding residential neighborhood. In absence of that information, staff says they have independently concluded that the noise impact could be far higher with buses than under other light industrial uses in that zone. Other impacts identified by staff include traffic, safety and environmental issues. Indicative of the rush to acquire any usable site for buses, the result of County elected officials' failure to do so prior to the deadline for turning over the existing Shady Grove bus depot to developers, the County did not submit a Site Selection Study or analysis. Without such a study, staff wrote, they cannot support the acquisition of this - or any other - site by the County for a bus depot or parking lot. The IM 2.5-H-50 zoning of the Westmore site does not allow industrial uses with excessive noise, dust or other disruptive impacts, and does not require the sort of transportation links that a fleet of buses would need to get in and out of the neighborhood. In another indication that the County Council did not do its homework, the County Department of General Services Deputy Director Greg Ossont wrote to planners that DGS is using money allocated to it by the Council last summer to buy the Westmore site. All nine councilmembers voted in February to approve funding for design and construction of a bus depot at the other controversial Rockville site, the Carver Educational Services Center. Several councilmembers have now attempted to distance themselves from that vote, claiming they had not read the resolution they voted for. Were it not for those two actions by the Council (among others), we would not be in this situation today, an embarrassment the Council understandably wants to downplay. Never has "the dog ate my homework" caused so much trouble for so many communities. Planning staff heard loud and clear from Rockville's Mayor and Council, and residents, that Westmore - like Carver - was completely unacceptable for a depot. The Legacy at Lincoln Park Homeowners Association, the Lincoln Park Civic Association, Rockville Housing Enterprises, and the East Rockville Civic Association were among the formal organizations weighing in against the bus plan for Westmore. Several letters noted that the bus plan is in conflict with the Lincoln Park neighborhood plan residents collaborated with the City to pass in 2007, which included the intent to phase out industrial uses around the community. The final decision now rests with the Planning Board. Should the Board follow the recommendation, and with the Carver proposal on life support, the County will be in full panic mode shortly in its effort to find a site. Ossont has recently indicated the Gude landfill is off the table due to environmental issues. Where to next? Derwood? Avery Road? Darnestown? The plot thickens. The question now is, which MoCo community is going to be left without a chair when the music stops in this fiasco, unless the Council simply blows up the whole "Smart Growth Initiative" project, allowing the depot to remain at Shady Grove. It is unclear whether they would face legal action from the developer if they were to do so.